This brag mat competition is open to fishos in all states with barramundi. It is judged on the best six of 10 rounds, so you can enter up until July with a chance to win. 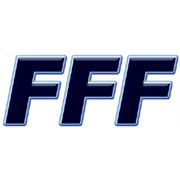 The competition is free to amateur fishos/skippers who display a FFF sticker on the outside of their car or boat, or on a console high enough to be seen outside the boat, for the duration of the comp. Landbased fishos can display a sticker on their car, bike or tackle box. Order a FFF sticker for $5+pp at https://fishfinderbooks.com/fishfindershop/product-category/waterproof-stickers/. Entrants must register their boat by posting on this thread a pic of their boat or vehicle, either with the FFF sticker applied, or without if you choose to pay the entry fee. Fishos can enter at any time throughout the comp but may not enter fish in earlier rounds. As it is the best of six rounds you can enter until July with a chance to win. The comp is judged on pictures of fish on brag mats. Each centimetre of fish gets a point. Unlimited entries are allowed but only each competitor's biggest fish from each of their best six rounds are eligible for points. Entrants will need a branded brag mat (no home-made ones allowed), a camera and a newspaper from the month of each round to enter. EDIT: Branded or full-size government fish-measuring stickers are OK.
Pictures of fish must be taken on the brag mat with the newspaper in view. The newspaper or anything else must not cover the fish in a manner that could hide mutilation of the fish. Each brag mat post must also include a photo of the fish being held by the captor nearish to where it was caught. Dam-caught barramundi (stocked impoundment barra) are only eligible in Rounds 6 and 7. The first round kicks off March 1, 2019. The final round ends December 20, 2019. There are 10cm bonus points for landbased fish in 2019, but the location picture must clearly show the fisherman and place of landbased capture. A deckie's fish may be entered by the owner of the registered boat as long as they are caught in the registered boat, and the boat is recognisable in the photo. Skippers who have registered their boat in the comp may fish as a deckie on another registered boat and claim their fish as their own entry, as long as both parties are in agreement. Otherwise, the skipper of the registered boat on the water on the day claims any fish caught. All fish to be measured from lip to centre of tail (eg inside fork or outer curve). Fish may have mouths open or closed on the brag mat, the aim being to get the fish measured and photographed as fast as possible. Each entry must include a short description about the capture. Photos must depict live or freshly-caught fish, no necked or obviously dead fish. As there are no stewards on the water to enforce/check that rules are followed, the organiser reserves the right to disallow any entry for any reason, and disqualify any entrant for any reason. The judge's decision on all matters will be final. Fish caught while competing in other competitions are not eligible. Professional fishing guides may not enter the comp. In the event of a draw the FFF judge will decide a winner based on the quality of the photos in the entries. There is no size limit on fish, but please photograph undersize fish quickly for a fast release. By entering, entrants agree to be solely responsible for their own safety, knowledge of the waterways, and to ensure their boats are in good working order. Entrants agree to not hold the organiser liable in any way. By posting your first entry you agree to be bound by the rules. There is an end-of-year Grand Champion, decided on the best fish from six rounds. There are end-of-year Runner-Up Champions, decided on the best fish from six rounds. See below. The prize list may be updated if more sponsors come on board. Both GME prizes courtesy GME Australia. **Shimano Citica CI200I baitcaster reel (or an upgraded 2019 model) ... https://www.shimanofish.com.au/content/fish/oceania/au/en/homepage/productdetail.P-BR15CITICAI.html ... courtesy Shimano Australia. ***All prizes are not redeemable for cash. The comp organiser will not be held responsible if a sponsor becomes unable to supply a prize. ***In the event of model upgrades among prizes, the updated models may or may not be supplied by the sponsor. ***The organiser reserves the right to end the comp early for any reason, with winners chosen from the leaders at the time of conclusion. It will be up to sponsors if they provide prizes under such circumstances. ***Competitors may be asked to provide proof of ID to satisfy the organiser of their identity, winners will not be eligible for a prize if suitable ID is not forthcoming or if a discrepancy is found. ***Rules may be subject to change, new rules will apply after the time of change. ***Competitors are asked to have fun! This is a low-stress comp. But I will be taking it a bit more serious than the last years efforts so I'm not gonna be stuffing around with the 4-10lb spin outfit this time after donating a few 100 bucks of lures to unstoppable stuff last season. 65lb whiplash spooled up on my Calcutta 400 with carbon erskine drag over an 8kg live fibre sorts out most metreys pretty quickly. Have to keep trying. I hope to catch some decent fish this year. So far but not reportable. So far this year Jan 90cm from the stones. Feb 70cm in the boat. Only launched 1 time this year due to the wind. Still working to afford a fishing addiction. Why is all my spare time during the wrong tide phase. wonder what the poor people are up to!!! Lowrance/Navico on board for 2019 with an Elite-9 Ti2 with Active Imaging ... check the revised prize list at the top of this thread. 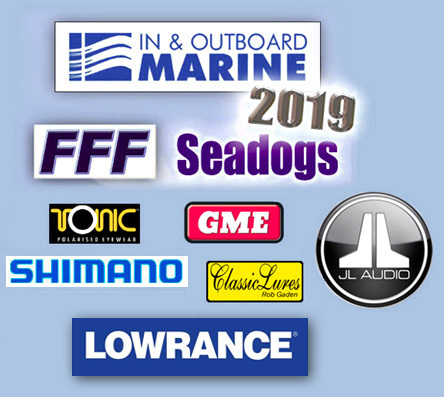 Our Seadogs year-long brag mat comp is free to enter if you have a FFF sticker on your car or boat. Check the rules at the top of this thread. Just finished some trailer repairs,new springs, hangers,brakes and bearings, should be good for another 10years!